My Weimaraners run to greet me when I walk through the front door and I’ve always assumed that their wagging tails mean they’re happy to see me. It turns out that while wags are a signal of happiness, there could be much more to their story. The people at DogStar are working on a gadget that will record and decode the language behind the the wags, which they say is the social interface in the dog world. Today DogStar launched a fundraising campaign on Indiegogo where they hope to raise $100,000 to develop TailTalk, the world’s first dog emotion sensor. 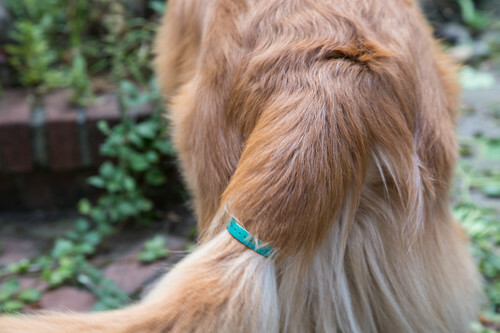 TailTalk is a flexible band that fits around a dog’s tail. Like the fitness wristbands that humans wear, TailTalk uses a gyroscope, accelerometer and Bluetooth technology to transmit motion data to a companion app on an iOS or Android device. The app charts the dog’s emotional events and helps pet owners better understand what makes their dogs happy and what contributes to negative emotions like fear or anxiety. Backers who contribute $99 to the Indiegogo campaign will be first in line to get the device when it ships in May of 2016. 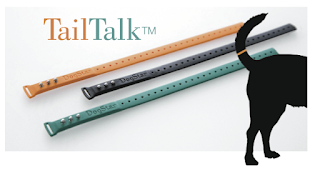 You can get a closer look at TailTalk in the video below. More details are also available on the DogStar website and @DogStarLife on Twitter.